Committee Minutes are available below. Please contact any member of the Committee for further details. These are large files, please be patient. IHBC is holding another Membership Application Training Event with our Branches- the main aim of which is to assist people in upgrading their membership from either Affiliate/Associate to Full membership. There will be a presentation from Kate Kendall, IHBC Education, Training & Standards Liaison Officer followed by small group discussions. Join us for an in-depth, accessible look at the structural side of building conservation, from philosophy and techniques to causes and prevention. 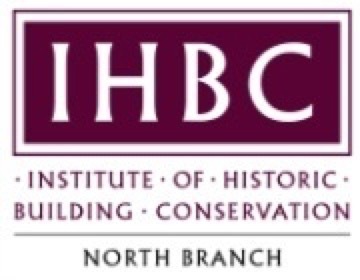 A full day with case studies and discussion, guided by Ian Hume, DIC CEng MIStructE DiplConsAA IHBC, Former Head of Conservation Engineering at English Heritage. Please send Jane a purchase order addressed to Carlisle City Council against which she can raise an invoice for £25.